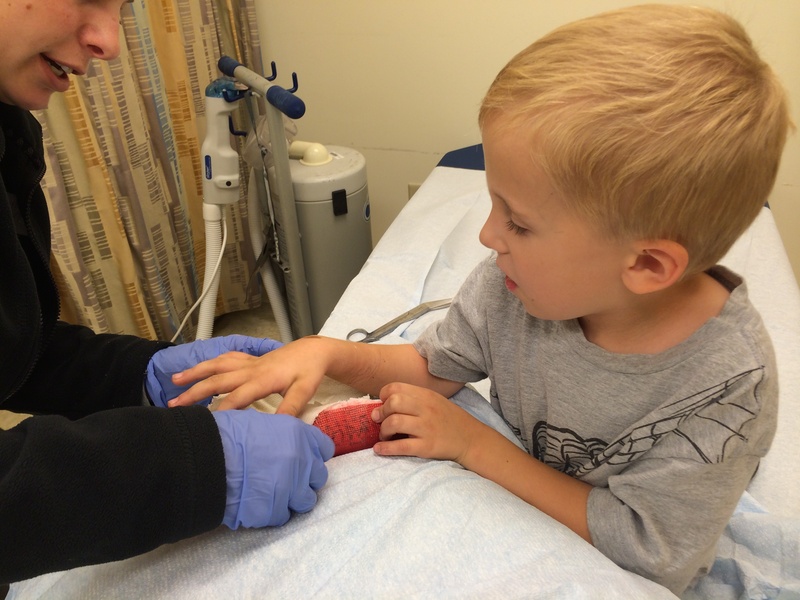 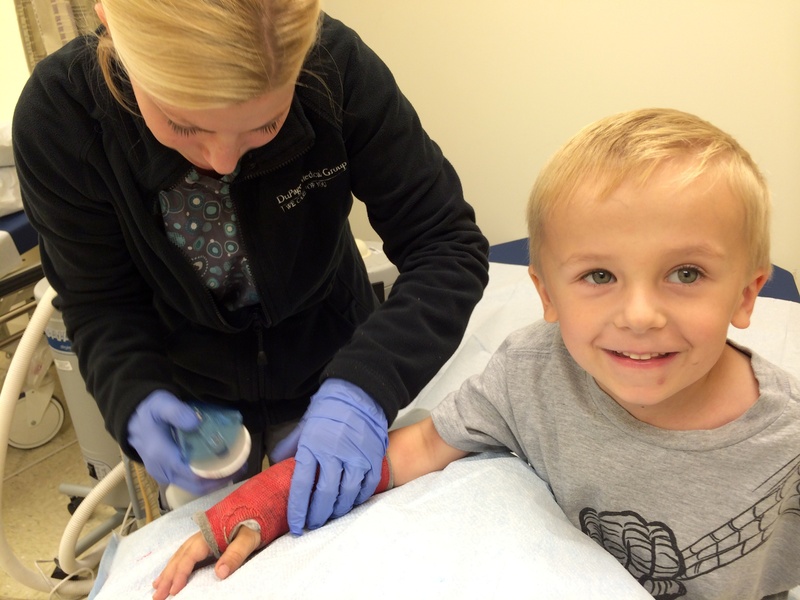 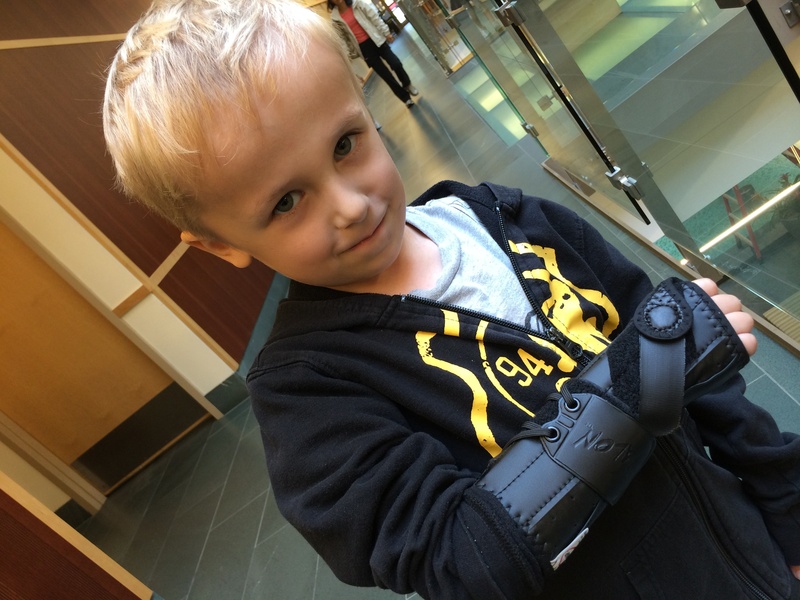 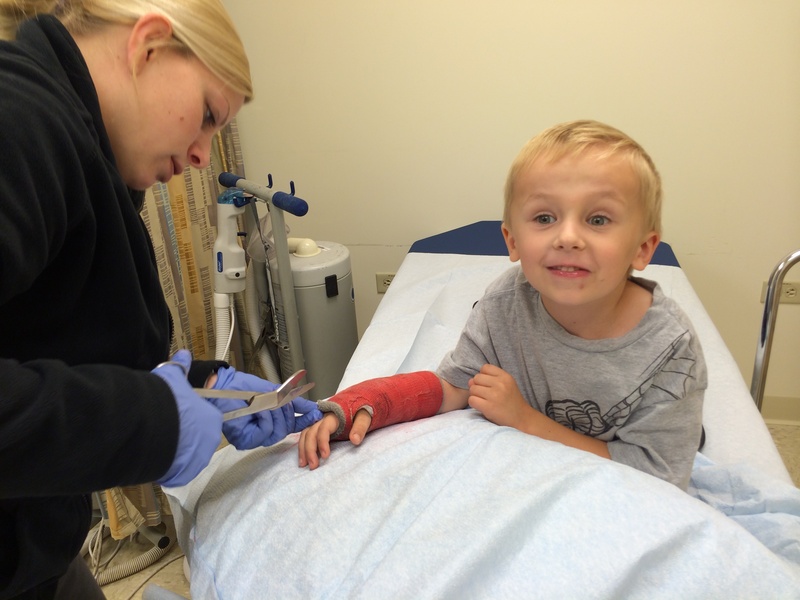 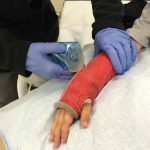 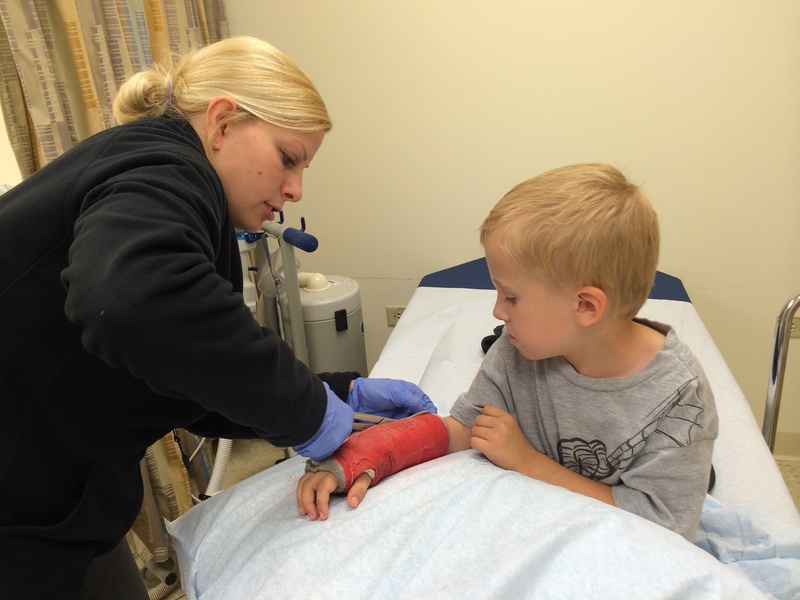 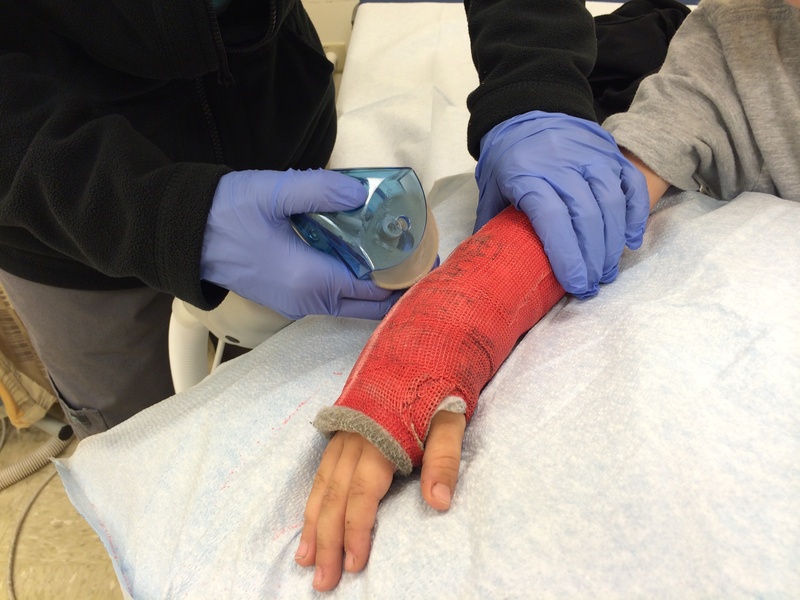 After 4 short weeks (they really did go by kind of faset) Andrew was able to get his cast off today. 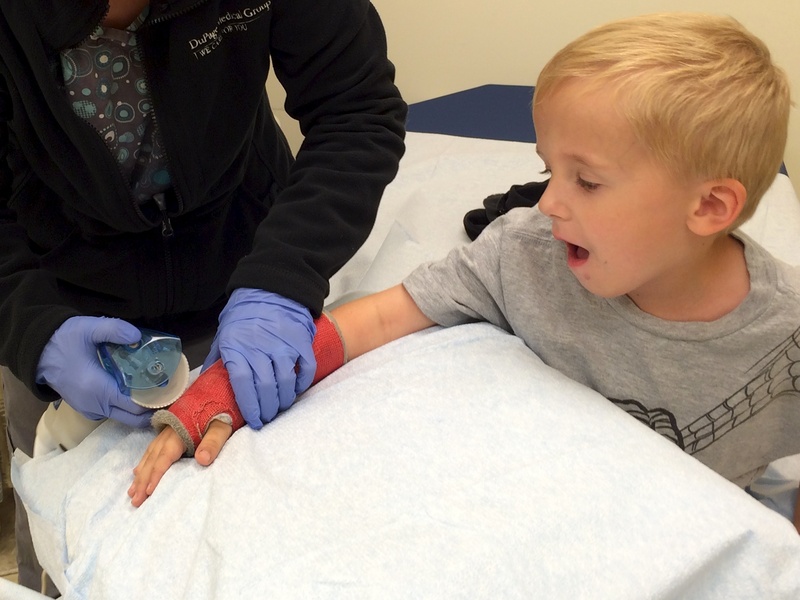 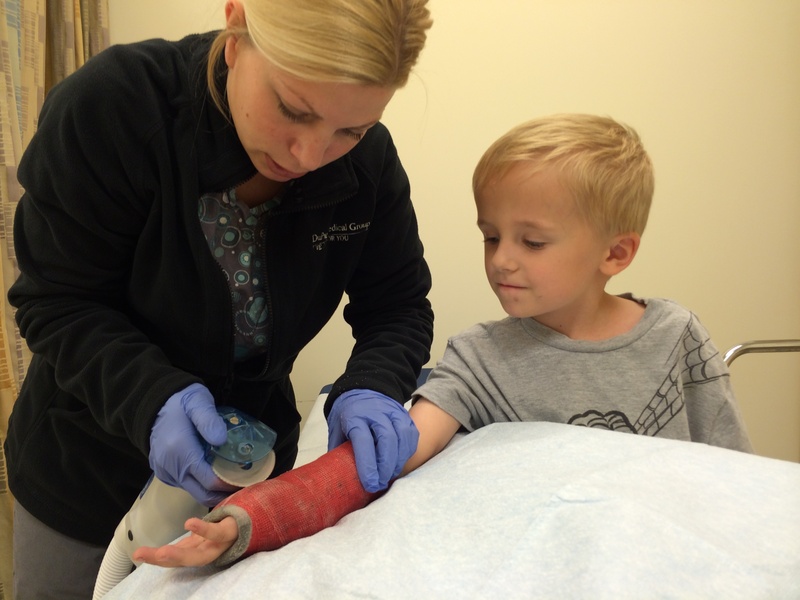 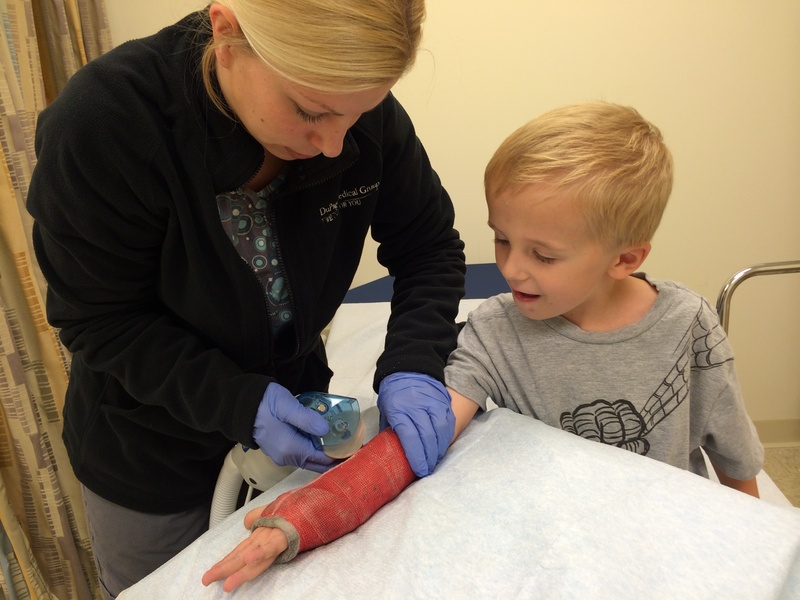 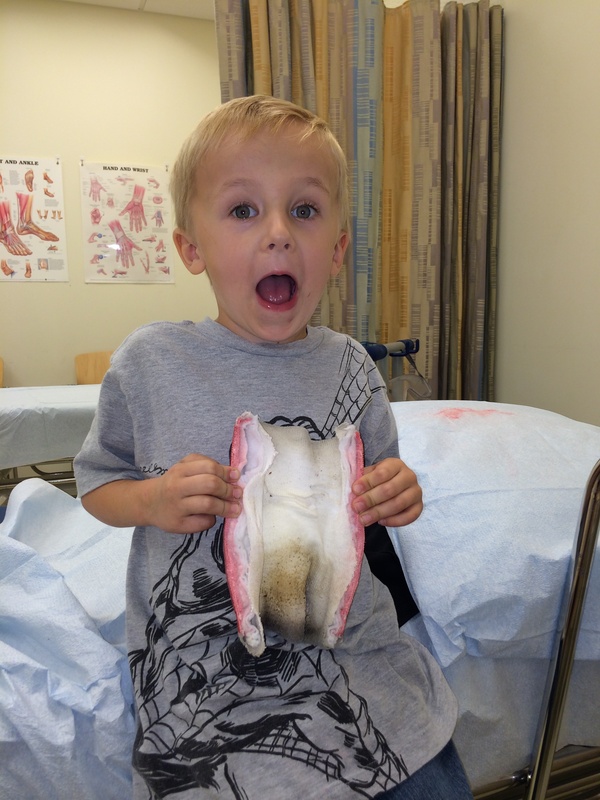 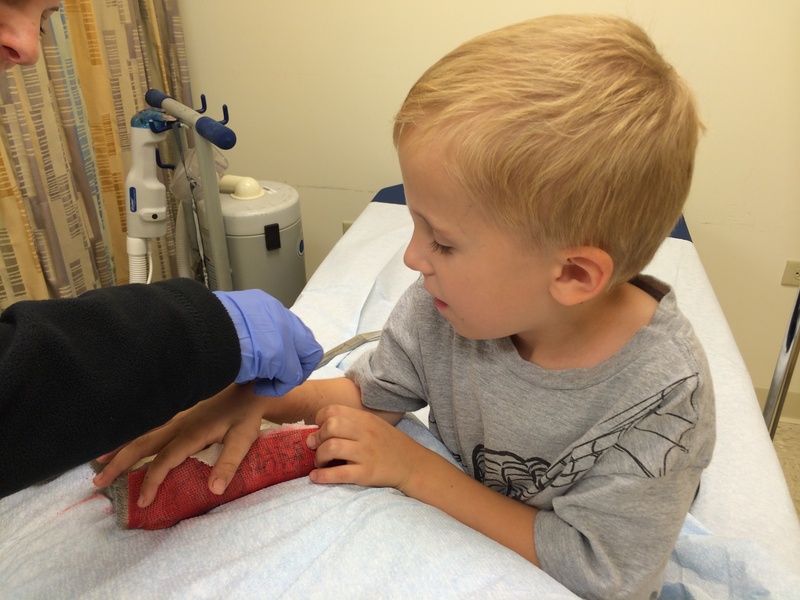 He had the added surprise of finding a leaf inside his cast that smells just awesome. 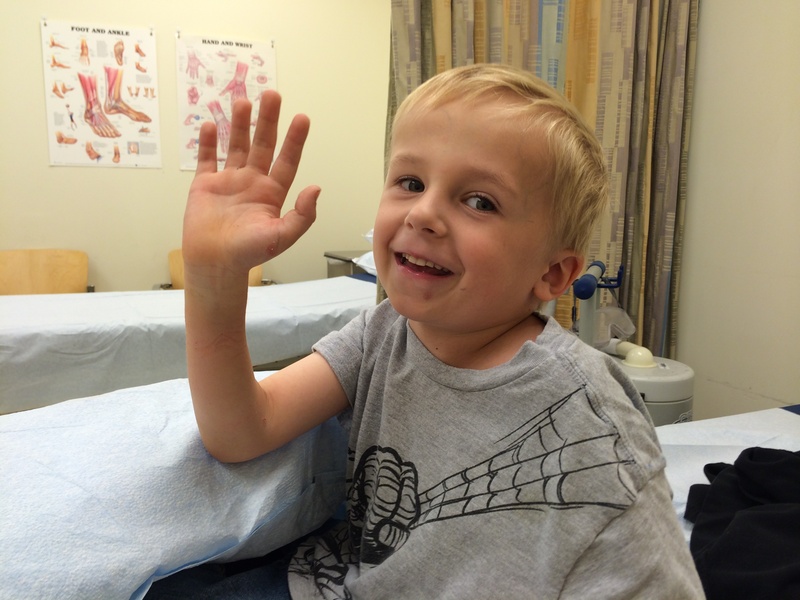 The break is 80% healed (which is what the doctor was expecting) and will heal the other 20% over time. 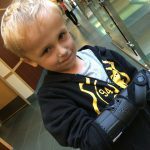 For the next two weeks he needs to wear a brace to help build the muscle up again and protect it in the mean time. 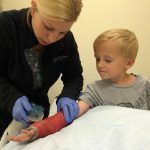 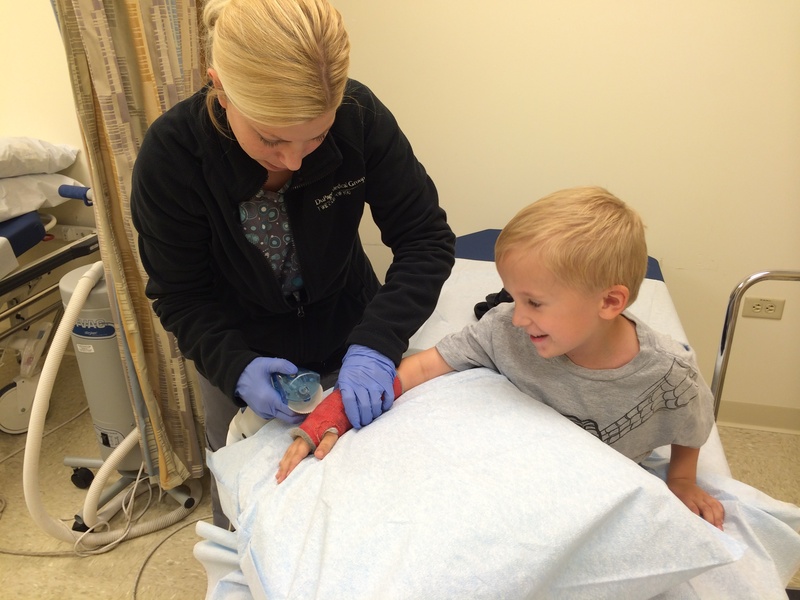 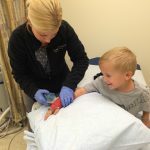 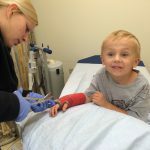 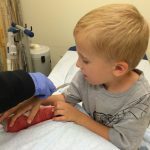 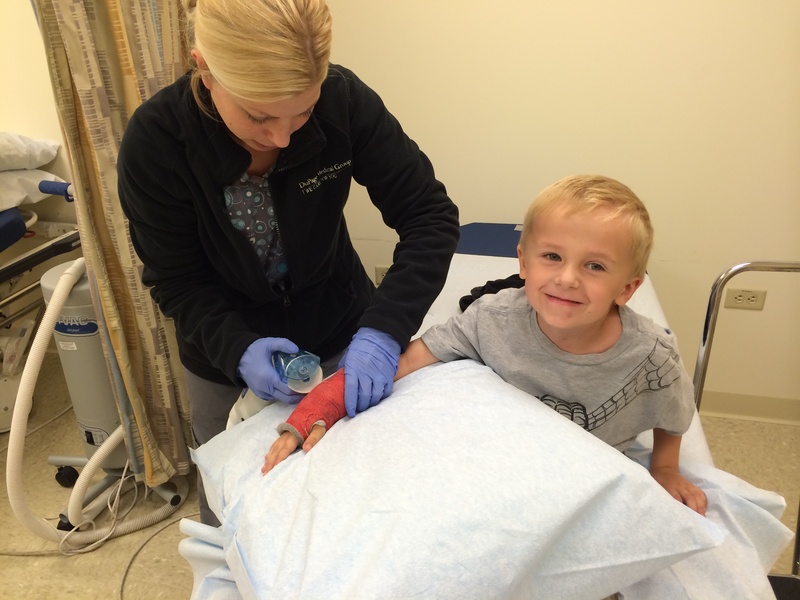 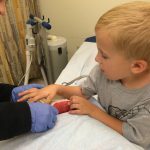 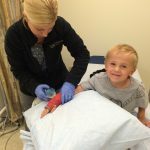 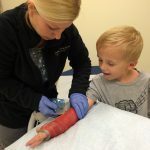 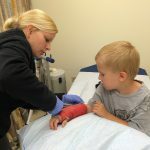 Even though they took a loud saw to his arm, he kept his composure the whole time and just smiled as the nurse cut through it. 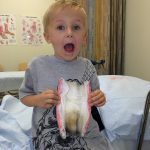 I’m so proud of him! 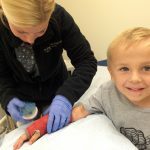 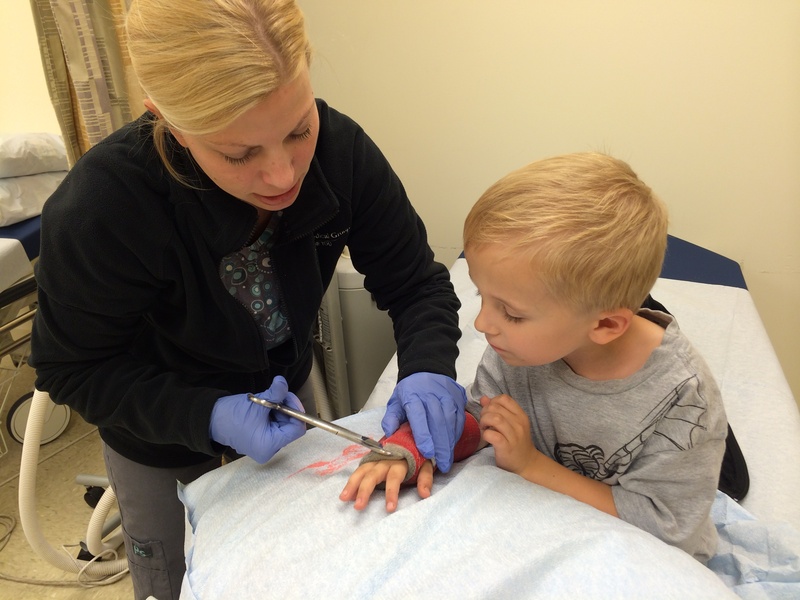 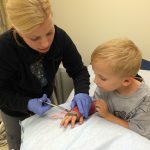 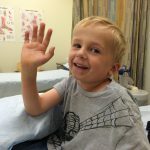 I love these one-on-one bonding experiences, even if it is just a doctors appointment.